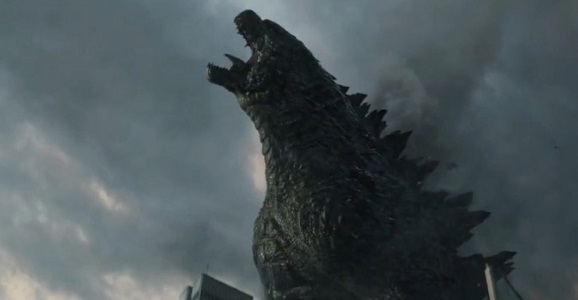 We loved this summer’s Godzilla, like a lot, but we’re not so bold to proclaim that it is a great movie in many regards. Hell, in some (read anything having to do with a human) it’s downright terrible. Still, there’s something about seeing a skyscraper tall monster stomp through a major metropolis that just makes our heart soar every time. That said, the folks over at Screen Junkies are back with their “Honest Trailers,” taking the piss out of Gareth Edwards’ resurrection of the King of the Monsters. If you’re familiar with the Honest Trailer phenomenon at all, they you know exactly what to expect. Though they do make some good points, this is really just pointing at the most obvious flaws and saying “really?” It can be fun, but as with most of these videos, at least for me, it overstays its welcome. The best installments are when they’re actually clever, but in this case, the problems are so glaring and readily apparent to anyone with eyes that this is nothing particularly special. And speaking of the title character, you get relatively little of him. You hang out with two shoddily designed beasts you’ve never heard of, but you barely see Godzilla himself (according to this video, it’s just over 11 minutes out of more than 120). I get the impulse to keep him hidden until the right moment, but still, even after he’s been revealed, he’s almost always hidden. Eventually it goes from tense to annoying. The highlight of this video has to be the Ken Watanabe staring montage. He basically gets two cool lines and then gawks at things. And when all of those moments are stitched together as they are here, you realize just how ridiculous and underused he is. Despite being rather lackluster, this video does start off by making one very good point. Legendary, the studio behind Godzilla, also owns the rights to King Kong and Pacific Rim, and if you’re looking for thoughts to keep you warm through the upcoming winter nights, just think of those three forces colliding in one movie. It’s never going to happen, but that’s a movie we could get behind. Epic movie. Only film I saw twice this year. 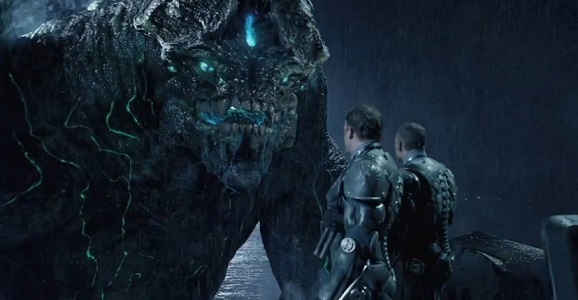 I also re-watched Pacific Rim and although it has all the fighting and monsters people who hated Godzilla wanted, it soon became mind numbing and lost all sense of scale and importance. I put it this way. Godzilla is a film about giant monsters. Pacific Rim is a film about tiny cities.